When you need commercial insulation service in Morrow, Georgia, performed quickly, correctly, and by professionals, Arango Insulation is the company for you. Our team of highly trained technicians always provides precise, thorough service under strict quality control guidelines, and we’re known for delivering unparalleled turnaround times for jobs, a product of our next-day starts in most instances. Whether you need us to insulate attics, interior or exterior walls, basements, or roofs, no commercial job is too big or too small for us, and we perform all jobs using only the highest quality materials. 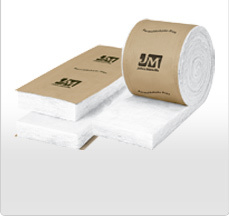 Our extensive selection of insulation includes foam spray, blown in, batts, rolls, and more, and our products come from some of the most well-known industry names, including Owens Corning, Johns Manville, Guardian, CFI Foam, and Icynene. Arango Insulation is a family-owned and -operated company, and we strive to make each of our customers feel as though they are a part of our family. We have operated with a longstanding commitment to providing top-notch customer service, and our efforts have been recognized with the renowned Consumers’ Choice Award and an A+ rating from the Better Business Bureau. For more information on commercial insulation for your building in Morrow, contact us today. We also offer several other commercial services, including waterproofing, steel fireproofing, commercial thermal insulation, commercial roofing, and more to businesses in the greater Atlanta area and surrounding communities.